When it comes to customer satisfaction, Spirit Airlines ranks dead last, a position it has held for the last three years. The company is once again leading a race to the bottom after canceling 300 flights over the past seven days, including 81 on Sunday alone, leaving around 20,000 customers stranded, delayed, and as my sixth grade teacher liked to say, cruising for a bruising. On Monday night, tensions boiled over at the Spirit ticket counter at the Fort Lauderdale airport, CNN reports. Irate, frustrated passengers ended up in a brawl that appears to have been set off by aggravated line-cutting. Broward County deputies stepped into the fray, handcuffing passengers and restoring the peace. Spirit Airlines spokesman Paul Berry said the company was “shocked and saddened” to hear about the events at the airport and then decided the best course of action was to blame its own pilots. Spirit has been negotiating with the pilots’ union about wages, retirement benefits and profit-sharing without an agreement in sight. 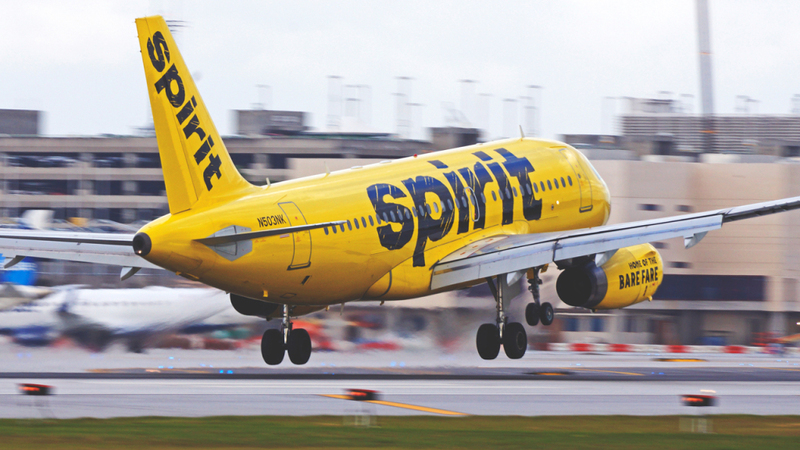 Now Spirit has filed a federal lawsuit, claiming that the recent spate of cancelations has been caused by pilot unavailability due to what Spirit says is an unlawful slowdown. The pilots’ union denied such claims. Passengers should plan on taking the bus.